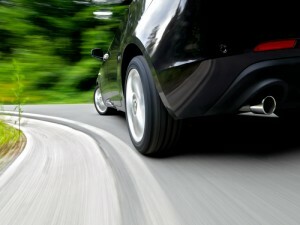 Buying a used car is a great way to save money and acquire a reliable vehicle that you can count on to get you places. You may be wanting to get rid of a junk car with a junk car removal Portland, then purchase a used car to replace it. There are many benefits to buying a used car, from reduced prices lowered insurance rates. However, there are also things you need to keep a lookout for if you want to get the best deal you can get. Use the following tips to help you out if you are in the market for a used car. Set a budget and stick to it. Do not spring for a used car that is out of your range, as you just need something that fits your needs. It does not make sense to splurge on a sports car if you just need a vehicle to haul your family around. Know your limits and do not go overboard. Chances are you have a model and make in mind before you set out to make a purchase, so researching that model as much as possible is the best thing you can do to make sure you are getting a good deal. Know the weak points, typical repair costs, and the various pricing points. Check the forums online as well to help you get a broader picture of the model you want. All of this research will help you avoid buying on impulse. Impulse buys are for other products, not vehicles. This is especially true if you are buying from a private party and not a used dealership. Make sure you feel comfortable around the owner and try your best to determine whether or not the person is trustworthy and reliable. You will also, of course, want to inspect the vehicle as well as you can. Look for rust and other signs of wear, and make sure everything is clean and put together. Prepare as well as you can ahead of time and do not let your emotions take advantage of you. Always be willing to walk away from a used car if it is not up to your standards. You can always come back or find another option. Once you make a poor decision, you are stuck with it.